When the product is rolled out, there must be a demand for it and the masses must be ready to embrace it. The technological change must improve on what’s out there already or solve an unsolved problem that people actually care about. The problem for tech innovators is that technology often takes many years to develop and refine before it’s ready to be properly launched for mass adoption. This means that Tech founders must gaze into their crystal balls and determine if the masses will be ready to embrace their tech when it launches. “The world ultimately will have a single currency, the internet will have a single currency. I personally believe that it will be bitcoin”. 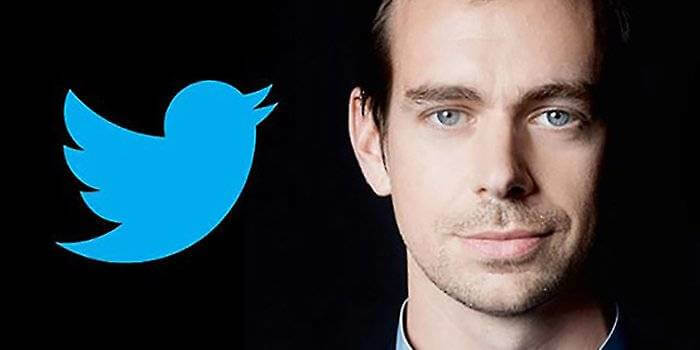 Mr. Dorsey also elaborated on the timeline too “probably over ten years, but it could go faster.” – Jack Dorsey Twitter CEO. So if Mr. Dorsey is correct, then within 10 years the USD will no longer be the world’s reserve currency. In fact, he is calling for the complete extinction of fiat currency and that would change international trade forever. The question is: If Bitcoin were the only global currency, how would this impact on international trade? Would it be a change for the better? How Could Bitcoin Improve International Trade? The cross-border exchange of goods or services in return for purchasing power and a unit of account. If Bitcoin was the global currency, then it would actually be the major unit of account and be the most popular way to store and transfer value. Most of you will be familiar with the phrase ‘time is money’, this is never more true than when it comes to international trade. Indeed, when it comes to the trade of perishable products eg fish, then even a day could be the difference between cargo being worth millions or nothing. The problem with the current payment infrastructure is that cross-border payments can take up to five working days to clear. With Bitcoin, payments can be settled within minutes. The truth is that Bitcoin could play a vital role in supercharging international trade through faster settlement times. You will probably fail to find an entrepreneur who thinks banks fully justify their fees. 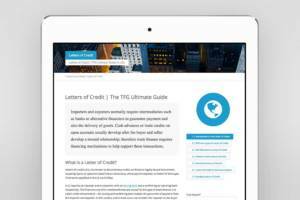 The truth is that sending cross-border payments is expensive and usually requires a chain of intermediary banks to transfer the value to the recipient. Given that the banks themselves spend $1.6 trillion per year on interbank transaction fees, it’s no wonder that entrepreneurs feel that bank fees are high. The problem with bank fees is that this siphons off money that could be better used by entrepreneurs to grow global trade. To put it into perspective, that $1.6 trillion spent on interbank fees is the equivalent to the entire GDP of Canada in 2017. Pay high currency conversion fees. Keep surplus balances for multiple currencies to cover cross-border operating costs (an inefficient deployment of capital). Pay higher accounting and audit costs (multiple currencies make accounting more complex). If Bitcoin was a global currency, it would actually make international trade simpler and cheaper. There would only be one unit of account and exchange fees would be a thing of the past. The cost of cross-border transactions would also be significantly reduced. In April 2015, $100 million worth of Bitcoin was transacted in a single transaction and this cost only a few dollars in fees. Every time a payment bounces, it costs a business between $25 and $50 in bank fees. If you consider that payment bounces are all too common in international trade, the true cost of this is exceptionally expensive. The problem becomes even worse when you consider the cost and time that is sunk into retrieving high-value payments. With Bitcoin, payments cannot bounce. The reason is that cryptocurrency doesn’t operate on a credit system and payments can only be sent if the user has a large enough balance. 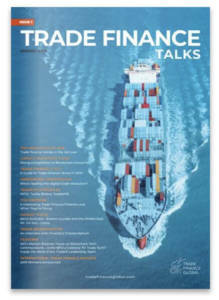 International trade has been generally supported by national governments in the recent past. However, the rumblings of outright trade wars between the US and other nation states will strike fear into affected international businesses. In countries like Venezuela, international trade has all but been decimated by oppressive government controls. Since 2003, these have been in place to stop capital flight from the country. If Bitcoin becomes the world’s single currency, it would significantly reduce the ability of governments to impose disastrous monetary policy on businesses and trade. The problem with the current system is that governments can freeze bank accounts or even raid citizens accounts to raise government funds (as seen in the Cypriot crisis in 2013). As Bitcoin is decentralized, governments will not have the same powers if it’s adopted. In fact, there is nothing that a government can do to stop a Bitcoin transaction from taking place (unless they shut down the entire internet infrastructure of a country). As a result, Bitcoin adoption should usher in a new era of even more free international trade and that should be good news for businesses everywhere. Which Countries Are Adopting Bitcoin The Fastest? There is little doubt that Bitcoin is not ready for mass adoption right now. The Bitcoin infrastructure simply cannot process enough transactions per second for it to be used as a global currency. Consider that Visa has the capacity to process 45,000 transactions per second and Bitcoin can only currently manage 7. The good news is that the Bitcoin Lightning Network is being rolled out and this will enable Bitcoin to process millions of transactions per second once deployed. This is why the deployment of the Lightning Network could very well result in Bitcoin rising to the status of a global currency. 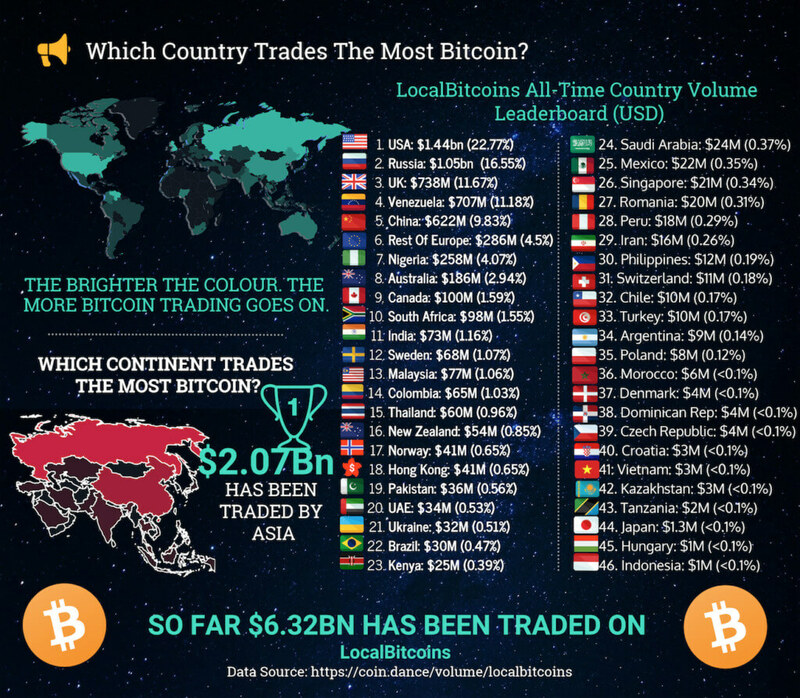 When it comes to Bitcoin trading volume broken down by country, Venezuela sticks out. Most people are aware that the nation is one of the poorest in the world and is experiencing hyperinflation. The Bitcoin trading volumes certainly seem to indicate that in times of economic stress, people are now increasingly turning to Bitcoin as a way to preserve their wealth. The trend of financial crisis leading to Bitcoin adoption has been shown during the Greek financial crisis and during the Turkish Lira’s recent free fall in purchasing power. The truth is that Bitcoin has a long way to go before it can live up the Twitter CEO’s expectations. Bitcoin is certainly not widely adopted yet, fiat currencies are still needed to pay bills, it’s not an official unit of account yet and Bitcoin’s value is still exceptionally volatile. However, all these issues with Bitcoin should be solved if it is indeed widely adopted and becomes the single currency of the world. What you should be thinking about is if the old fiat currency system is actually holding back international trade and if Bitcoin could actually usher in a better and more efficient system? For anyone that is doubting Bitcoin now, think about if you truly believe that the global financial system has been repaired since 2008? Have a look at national debt levels, stock market valuations supported through share buybacks and the global tightening of quantitative easing from central banks. Can the party can last forever or will the punch bowl will be taken away at some point? If a deeper financial crisis does hit don’t be surprised if Jack Dorsey’s bold claims are vindicated. If you are interested in learning more about cryptocurrencies and how they could disrupt traditional business, please do have a look at my blog at TotalCrypto.io.